Survival of the fittest, baby! You might think the “late-to-the-party” qualification is a little premature, but I assure you it’s perfectly apt. 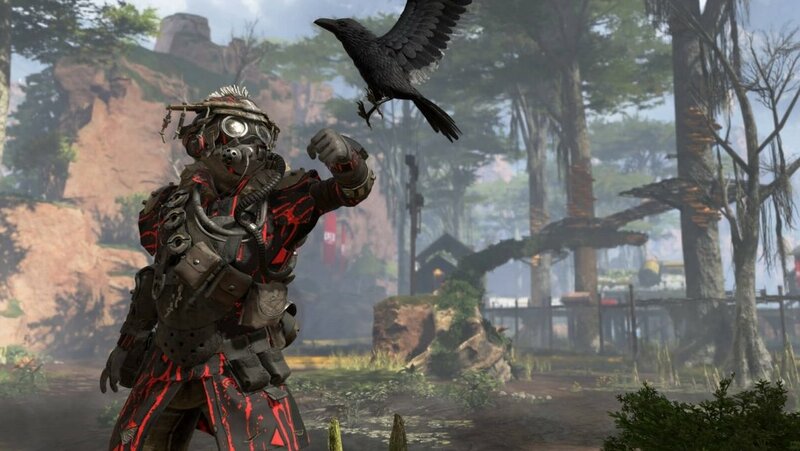 Apex Legends is popping off, but not without context. According to Respawn Entertainment big wig Vince Zampella, the latest title in an ever-growing list of Battle Royale games cracked one million users after just eight hours of public availability yesterday. Some might call those rookie numbers when compared to the records boasted by Fortnite — but for a developer that’s yet to truly find its rhythm, and a publisher that’s been referred to as the “worst company in America,” more than once, things are looking pretty good so far. While Apex Legends has ditched the Titans and the wall-running the game still very much feels like a Titanfall kind of game, a pedigree to which is owed the snappy and satisfying gunplay. Indeed, what seems a surprise to many is naturally to be expected of Respawn Entertainment: Titanfall 2 was well-received both critically and by us rank-and-file product purchasers. The slick shooter was unfortunately released alongside some very heavy hitters (in late October, after Battlefield 1 but before Infinite Warfare). At the time, the move was chalked up to EA interference: a publisher known for angling, acquiring, and subsequently shutting down studios, ready to gobble up another one. But recently whispers have surfaced that paint a different picture, one of ego, suggesting that the release date was deliberately chosen to compete against the impending Call of Duty title. Vince Zampella and Frank West, formerly of Infinity Ward (responsible for pioneering the wildly successful Modern Warfare and establishing Call of Duty as a FPS juggernaut) founded Respawn Entertainment nearly a decade ago. After what was a nasty public divorce from Activision, after helping build a keystone franchise into a multi-billion dollar industry giant, one can only smirk at the defiant conceit of naming the rival IP Titanfall, a sequel whose release date was the stuff of showdown. It makes for an entertaining narrative if nothing else, notwithstanding conjecture. But that Activision beef is all in the past, Black Ops 4 is currently rocking about 6K viewers on Twitch and as it stands, the day belongs to Respawn. One lingering question, however, is what’s to become of the Titanfall IP — especially now in the wake of Apex Legends‘ early popularity. With multiple outlets reporting that Titanfall 3 died for Apex Legends when the studio pivoted away from the trilogy title in 2017, and Zampella confirming on Twitter that Respawn is in fact still working on experimenting with the Titanfall universe, it will be exciting to see what happens next. Not trying to ball out with Titanfall 3, and becoming a more versatile IP than “codkiller” (a hill many have died on) would be far more interesting anyway. Itchy trigger fingers can jump into the action through EA’s Origin client, and read an open letter written by the game’s executive producer here. If you want to get sped up on some extra culture, you can read our November LTTP rundown of the Senran Kagura franchise.